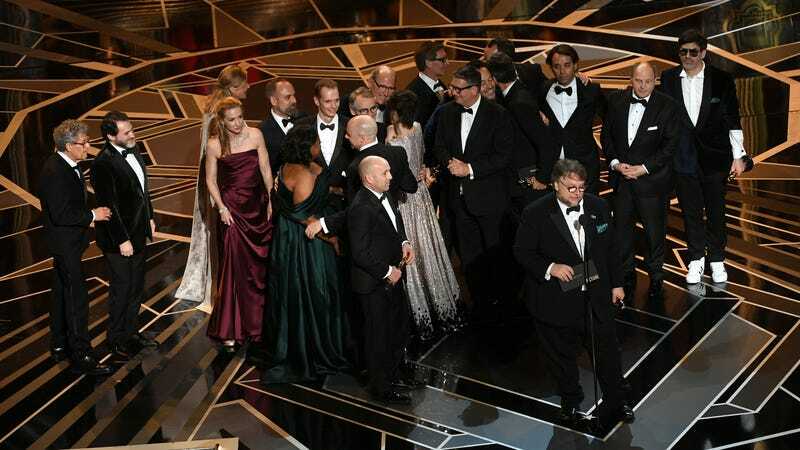 The 90th annual Academy Awards—a race that went from feeling like anything could happen before the ceremony to a relatively safe ceremony that, despite some memorable presenters, didn’t quite live up to the promise of a diverse and exciting slate of nominees—took place earlier tonight at the Dolby Theatre in Los Angeles, California. We’ve got a live blog going elsewhere on our site with observations on the ceremony from film critics A.A. Dowd and Ignatiy Vishnevetsky, and you can refer to this post for a complete list of winners from the televised portion of the ceremony. Congratulations to all this year’s winners, especially Phantom Thread costume designer Mark Bridges, who got a free jet ski to go along with his gold statuette. Winners are marked in bold below.